Along The Grand Trunk Road An ancient road spans South Asia, connecting the present and the past in a dynamic -- and sometimes dangerous -- part of the world. 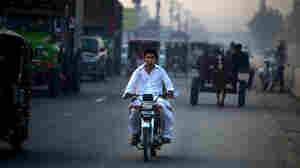 NPR journalists travel the route and tell the stories of young people living there, who make up the majority of the populations in India and Pakistan. Hear the stories of young people who make up the majority of the populations in India and Pakistan. May 21, 2010  NPR's Morning Edition explores the Grand Trunk Road that once connected the Mughal empire, from Afghanistan and Pakistan to eastern India. Now, the road Rudyard Kipling called the "river of life" links the present to the past — and it's full of young people, trying to make their way toward the future. May 21, 2010  In Peshawar, the heart of Pakistan's turbulent northwest, violence has become a shaping force in the lives of young people. As NPR's team completes its series of stories on life along South Asia's Grand Trunk Road, a look at how the city's 20-somethings see their future. For Pakistan, An Unmappable Road Ahead? May 21, 2010  Over the past 10 days, an NPR team has been reporting from the Grand Trunk Road, an ancient route linking India and Pakistan. As the journey ends, Steve Inskeep reflects on a road dense with history and a country -- Pakistan -- headed in an uncertain direction. May 21, 2010  Life along the Grand Trunk Road connecting Indian and Pakistan offers ample evidence of the contrasts in the two countries and their cultures. But at the table, at least, you notice the similarities, not the differences. The NPR team finishes its journey on the historic road by mulling over the region's culinary legacy. May 20, 2010  When Pakistanis marry, custom requires that the bride and groom behave with a stately reserve, despite the joy of the occasion. Julie McCarthy attends a happy occasion on the Grand Trunk Road, and asks the young couple for their view of the ceremony. 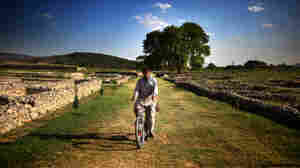 May 20, 2010  The ruins of Taxila, Pakistan, date back thousands of years -- but the city is full of young people whose future prospects are very much determined by their present circumstances. Near the end of his journey along the Grand Trunk Road, Steve Inskeep talks with three young people with decidedly different prospects. 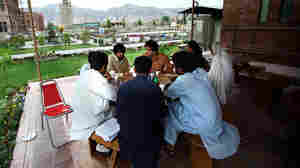 May 19, 2010  NPR journalists travel the Grand Trunk Road and tell the stories of young people living there. May 19, 2010  In a small Pakistani village, a group of young women takes a step toward the future, by learning to read. And their class relies on cell phones, especially text messages that give them lessons in reading and writing. 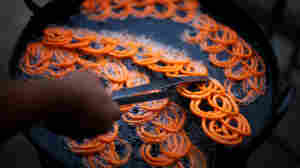 It's a stop along the Grand Trunk Road that NPR's Madhulika Sikka won't soon forget. May 19, 2010  In an industrial Pakistani city, Gold's Gym (no relation to the U.S. chain) is a big attraction -- and a deal, at $4 a month. There, young men praise the ability of a good workout to balance the stress of daily life in northern Pakistan. Steve Inskeep talks to the bodybuilders as he continues down South Asia's Grand Trunk Road. 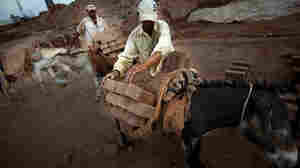 May 19, 2010  Brick-making is one of the oldest industries in the world and has changed little in Pakistan. Along the Grand Trunk Road, Niaz Ahmed, 18, is part of the army of an estimated 3 million brick workers in Pakistan, toiling in some 15,000 kilns. May 19, 2010  In Lahore, the University of the Punjab attracts middle- and lower-income Pakistani students hoping to make better lives for themselves. But the school's campus is also the scene of an ongoing struggle over education and Islam. 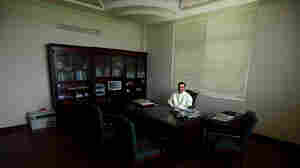 Steve Inskeep visits the campus as part of NPR's trip down the Grand Trunk Road. 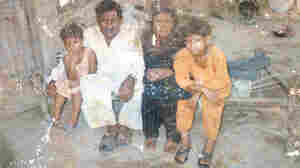 May 18, 2010  Poverty forces millions of Pakistani children along the Grand Trunk Road to work rather than go to school; they grow up fast. Others, such as Shazia Bibi, don't get that chance. The 12-year-old girl died under murky circumstances; her wealthy employer is being investigated in connection with her death. May 18, 2010  Some of Pakistan's best-educated young people are more concerned with class divides than they are with terrorism. The gap between the wealthy and the poor is so deep that a person's standing is easily determined at a glance -- a result of what one student calls "extreme social discrimination."